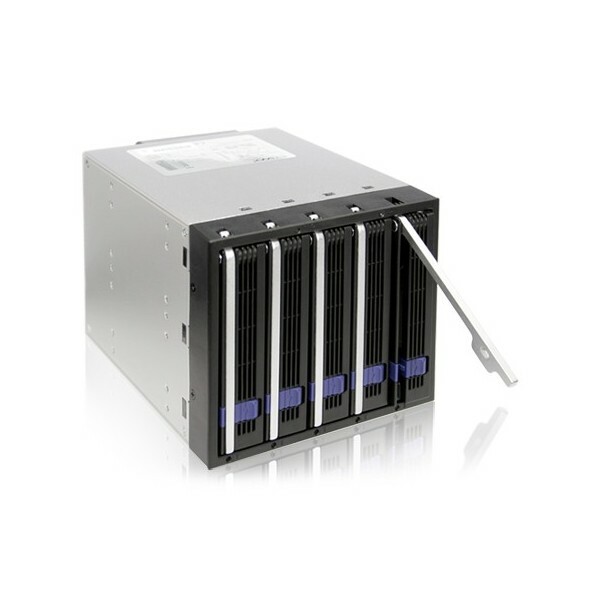 Introducing the DataCage Classic MB455SPF-B, a 5-in-3 SATA internal RAID backplane for 3.5” SATA hard drives. The DataCage Classic series focuses on the tradition of industrial systems' needs for stability, durability, toughness for mass storage operating conditions. 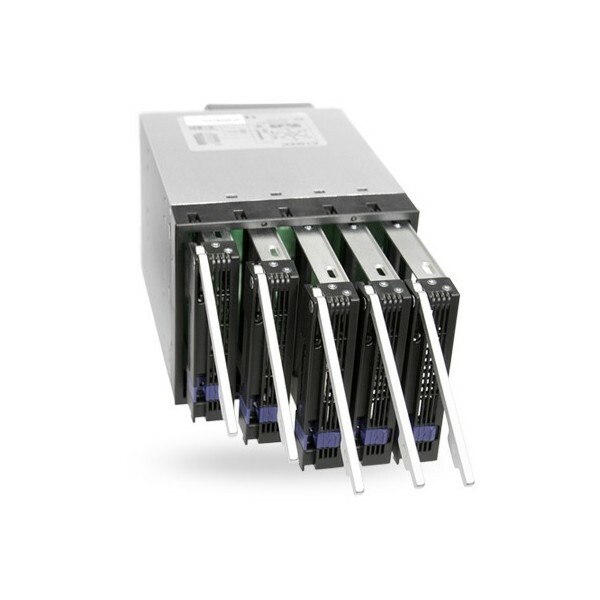 Some of the key features includes: Standalone advanced drive monitoring system, 3 year warranty, and a core tray system for hot swapping and maintenance. The MB455SPF-B DataCage Classic has been designed to same level of quality, build, and service you’d expect from an Icy Dock product. 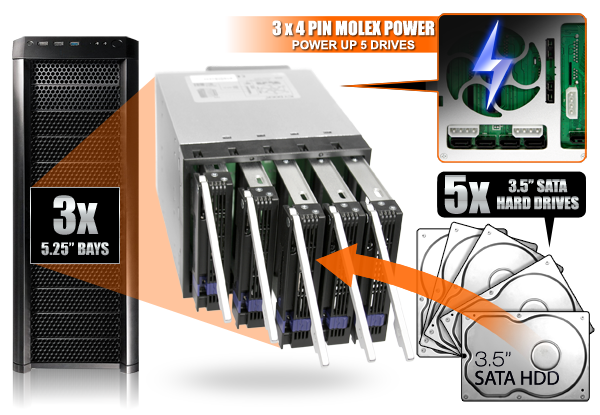 The backplane module allows up to 5 x 3.5” SATA III hard drives, while only consuming three 5.25” bays. The module requires only three 4 pin power to power the entire device. The advanced environment monitoring function of the DataCage Classic provides detailed information visually for quick access. 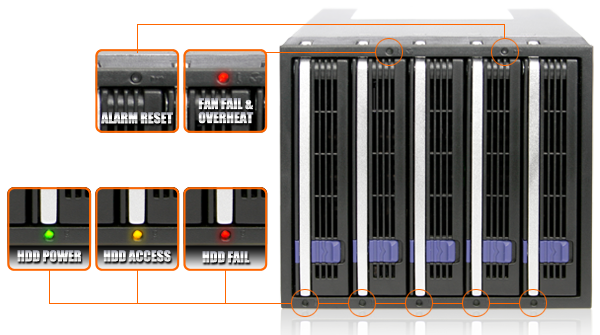 Drive power, access, hard drive* and fan failure status are all indicated via LED indicators on the front of the DataCage Classic unit. On the rear of the unit, a user selectable temperature alarm is used in order to let the user know when the unit becomes over a particular threshold. When this occurs, an alarm will sound to notify the user as a warning. 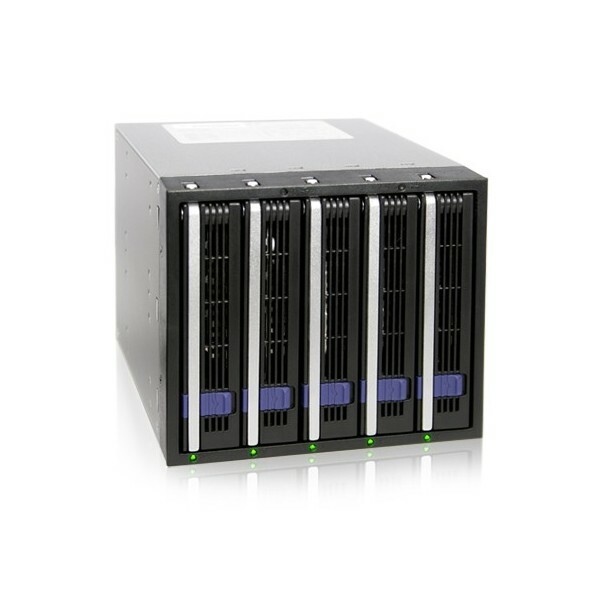 *the hard drive fail signal is provided by external host such as a RAID controller card or a motherboard. Please make sure your controller card / motherboard can provide hard drive fail signal via voltage pin in order to use this function. 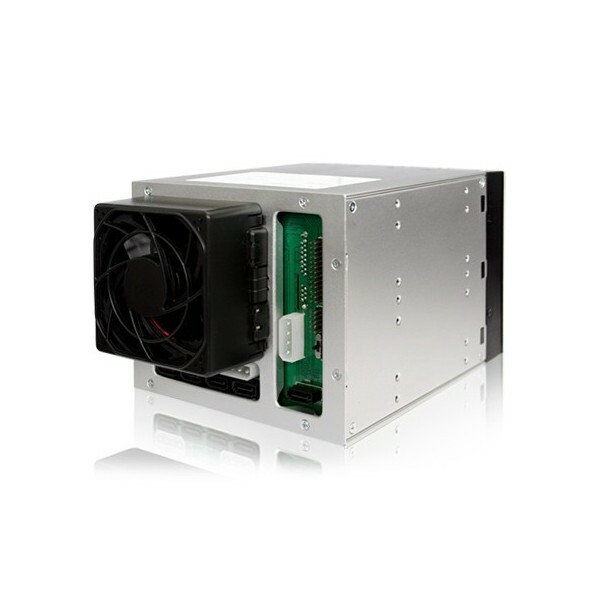 The DataCage Classic uses an aluminum body for efficient heat dissipation for various types of applications. 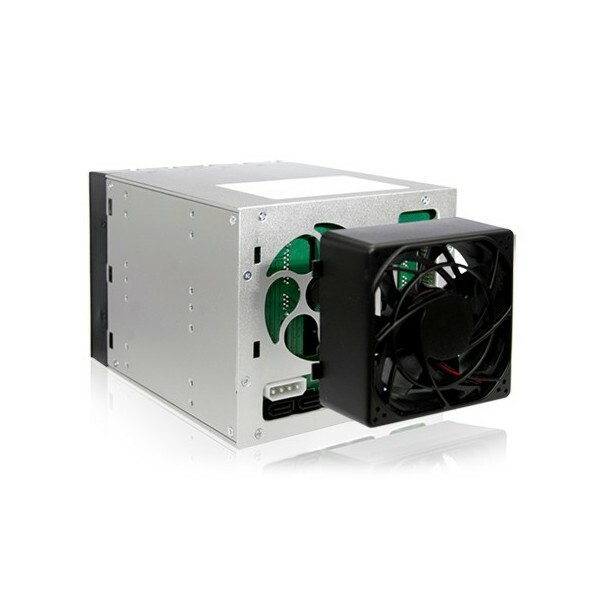 An active cooling solution is required as passively cooling your drives may not be enough, so an removable modular 80mm cooling fan is installed that can be easily detached and maintained if needed without the removal of the entire unit. The MB455SPF-B has kept the same interchangeable EZ-Tray used in MB45X, MB15X, MB876, MB559, and MB561 series. This allows you to continue to use the same trays from these series, or our compatible external 3.5” models without any issues regarding switching to new designs. 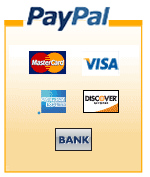 The EZ-Tray accepts most 3.5” SATA hard drives and is very easy to install / remove to the device in two steps – press the release button and pull / push the lever. 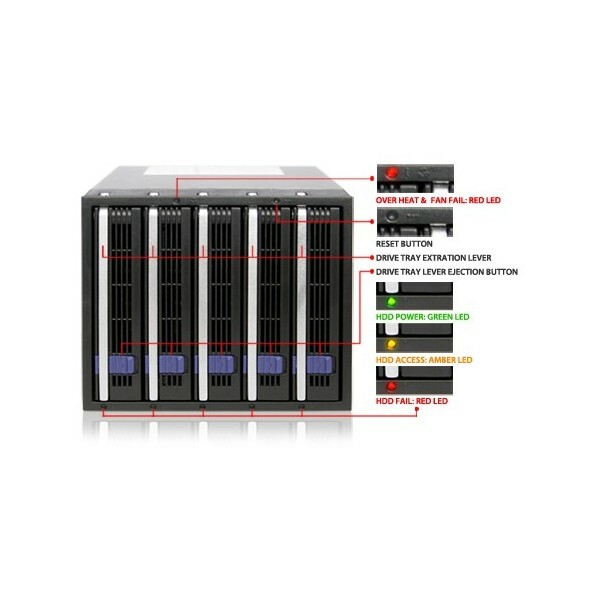 This allows for easy replacement in case of RAID failure, storage, or transporting of data. 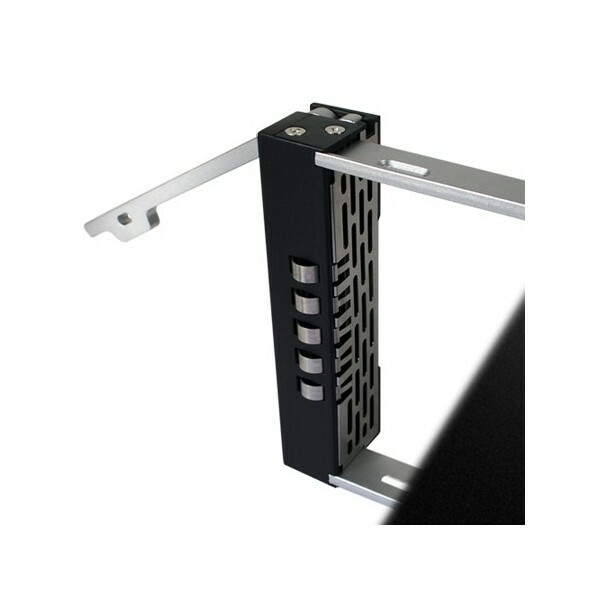 * Ideal for use in server environments, such as tower or rackmounts. device bay & supports SATA Hot-Swap function. DataCage Classic MB45X, FatCage MB15X, ICYBento MB559 & ICYCube MB561 series. audio indicators for power, access, hard drive & fan failure and selectable overheat alert. 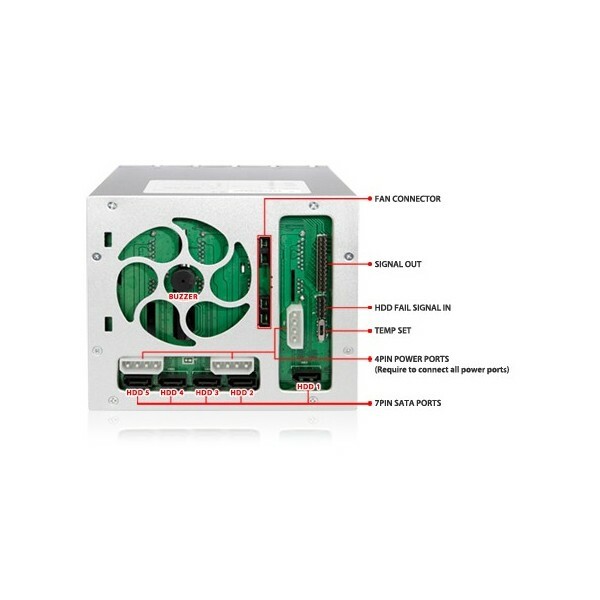 equivalent to hard drive manufacturer warranty to ensure maximum reliability and long life.